While it would be fantastic to get professional photos taken of your baby, sadly most new parents simply don’t have the budget. The good news is, there are ways you can achieve perfect photos of your baby from the comfort of your own home. 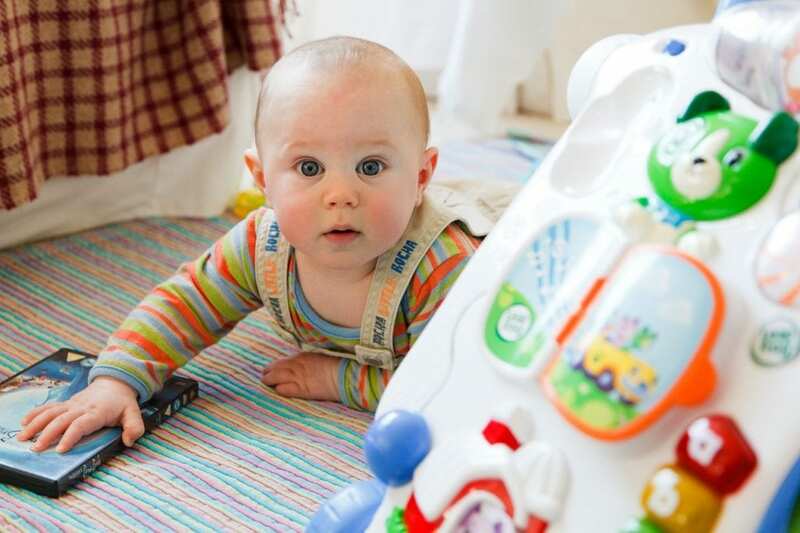 Below you’ll discover 10 great tips to help you take the perfect baby picture at home. In order to take the perfect picture, you’re going to need a decent camera. However, this doesn’t mean you have to go out and buy the most expensive camera you can find. Do a little research online to see which cameras have the best reviews in your budget range. Smartphones are great, but they’re not going to give you the same kind of quality as an actual DSLR camera. One mistake many new parents make is they take all of their photos directly above their baby. While you’re going to get a few great shots from above, they can’t beat the more personal feel of a picture taken from your baby’s level. Let’s be honest – it can be a little more difficult to take pictures from this angle. However, laying on the floor allows you to capture very natural looking, more flattering pictures. It offers a “world through your baby’s eyes” type look that gives a touching, more unique photo. Close-up pictures allow you to capture more emotion and detail. Don’t just focus on close-ups of the face, why not take a picture of their tiny feet and hands? These types of photos again provide a more personal touch and the viewer won’t get distracted by anything in the background. One of the main challenges of taking photos of your baby at home is they can get a little agitated if you’re trying to pose them. A great way to calm a newborn is to use the swaddle technique. Babies love to be swaddled as they find it really comforting. If they have a favorite blanket, use that. As well as calming the baby, swaddling helps to keep them still, making it much easier to take a photo. You could even turn this into a cute posed photo by placing baby and blanket into a decorative basket! Try not to use your flash when taking the photo, as this won’t just potentially upset your baby, but it can also be quite unflattering. Natural lighting tends to provide the best results. Ideally you’ll want to find an area of the home with good indirect natural lighting. Examples include by a window or in the shade of a tree out in the garden. You’ll find that placing the child with their back against the lighting will create a much brighter backdrop while enhancing the colors in the picture. Placing them facing the light will produce a shadow-less, softer photo. Or why not try placing them with the lighting shining beside them? This adds soft shadows to the photo really adding a more dimensional look. Some of the best baby photos are the ones that are taken candidly. Posed photos can be beautiful, but more candid shots produce images that you’re going to treasure forever. Photos of your baby playing for example will capture more intimate, off-guard expressions. As a new parent, patience can seem like a luxury. Life suddenly becomes very hectic with little time to actually sit down and relax. Some days you’re lucky if you get a shower, so the thought of spending ages trying to get a good photo can seem like an unrealistic goal! However, learning to slow down and take just a little time out of your busy day will reward you with some of the most treasured photos. Your baby is going to grow up quickly and you’ll never get those precious moments back. So when you look at it that way, you realize those dishes that have piled up can wait a while. One thing many parents regret is not getting enough photos of themselves with the baby. There are a lot of great cameras out there so find one with a self-timer function and familiarize yourself with it. That way, you’ll be able to set the timer and pose with your baby without the need for assistance. The great thing about digital cameras is they are free to use. You can take as many pictures as you want (up to the space limit of course). So, rather than trying to get the perfect photo first time, take lots of photos in quick concession. You’ll then be able to delete the ones you don’t like and even discover tiny, precious details that change with each picture. The more photos you take, the more chance you’re going to end up with one that you love. Finally, one of the key things that determines whether you end up with a perfect photo is the background. When taking photos at home, make sure the background is clean and free from any clutter. So many parents have taken the perfect photo of their child only to realize that there’s an object in the background that ruins the picture. Overall taking the perfect photo of your baby at home largely takes time and patience. The 10 tips above will help you to capture the best pictures. Try not to worry too much about actual poses. Remember, the best photos are often the ones that you do not prepare for. But the list isn’t complete here – what have you tried that has worked well for you? Do us all a favor and share your own tips and tricks, because we’d love to learn from your experience! I highly appreciate these tips. I wish I saw them a year ago when I was trying to take pictures of my son. Let’s just say it was an interesting day, haha. The biggest struggle for me was to get him to stay still for few seconds. He is so energetic that capturing that moment of stillness is hard! The intention was to share this pictures with other family members and his grandparents so I needed them to be great quality. For parents that will read this, I recommend you take highly into consideration the 10th tip on your list – don’t forget the background. I had two or three PERFECT pictures then I zoomed them in on my computer and I saw what a mess the background was. It was impossible to crop it out or fix it so I had to trash them. A great list. Hahaha that sure makes it difficult doesn’t it? Taking lots and lots of photos really helped me deal with that. I mean if you take 20 photos and only one of them turns out to be great, you’ve still got that great shot that you wanted. A lot easier than getting your little one to stay still, usually! Appreciate you adding to this article Jane! Oh yes, you are right, taking a good camera shot of our baby it takes time and a lot of patience, but sometimes the instant shots, are looking much better than the ones that are set up from before. Anyway, your blog provides me a lot of good tips. Thanks! I wished I knew these tips before attending the birthday party of my cousin that did his one-year party. I mean it was quite difficult to take his pictures and even when the cameraman had success, the angle is not always cool. The point 4 of your tip was what we needed when my cousin could not keep calm and take those pictures for he continued to cry amidst everyone that was at the party. It was embarrassing to some, but I found nothing wrong with him crying and I told the cameraman to take the pictures like that. We had fun, but the point of not capturing his smiling moments spoiled some things. Choosing the right camera is very important. Having a good one will make the rest perfect. Aside from that, take pictures naturally. Stolen shots are sometimes perfect to imperfection. It’s the memory that matters most but having a good shot will make it history. This really looks very interesting with the information provided here in this article, as a picture snapping addict that I’m, this is definitely going to be very useful as well as helpful to me with taking the pictures of my little ones at home. Not a day passes without my taking a couple of pictures of them and myself as well but reading through this article, it has shown me the best way to go about getting the best snap shots of the baby. 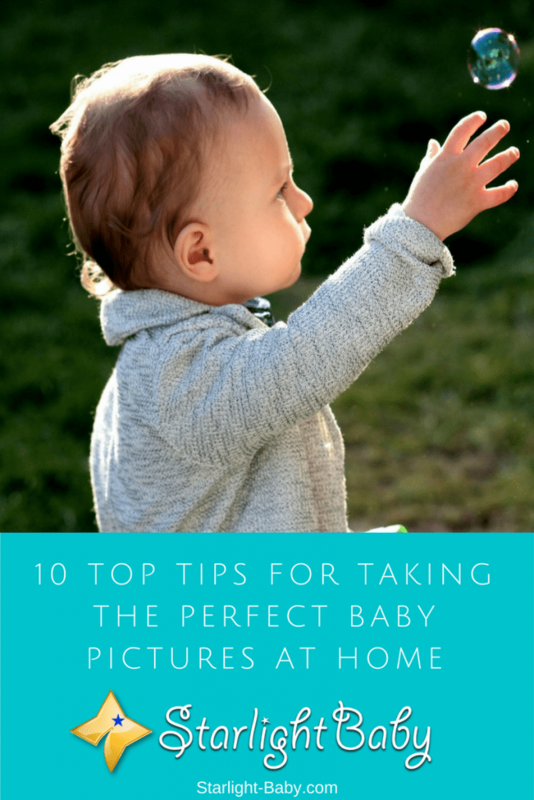 Thanks for this information provided on how to get best home pictures for babies, the 10 tips are definitely going to be of immense assistance to me with my self imposed task of snapping pictures. I take a lot of pictures of my baby. I think most important point while taking pictures is playing with natural light and avoiding the use of flash. If you use flash, babies eyes will be turned bigger when the light flashes and you are not going to get a natural picture. Second important point is camera angle. Since you cannot expect the baby to follow you regarding the posture, you should set your camera to get the best shot.